Brand-New 63cc, 3 hp Gas-Powered Post Hole Digger Head, Includes Fuel Mixing Bottle and Tool Kit (2-Man Operation) w/ 6" & 10"Augers/Bits! Great for digging holes for fence posts, decks, planting trees, cutting ice holes, etc! 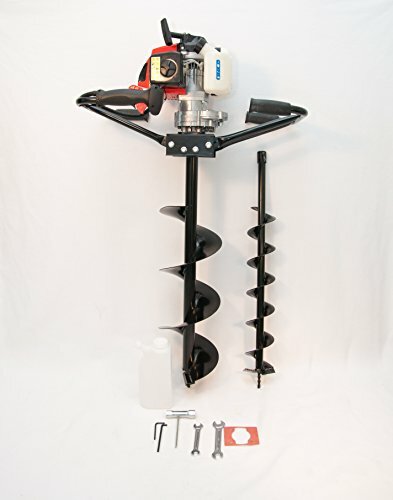 6" & 10" Augers Included in This Sale! - Check Out Our Other Combos for Different Sizes! * Shank diameter: 3/4" fits most of the auger shafts. * Cotter pin/shear bolt diameter: 3/8"
If you have any questions about this product by Tool Tuff, contact us by completing and submitting the form below. If you are looking for a specif part number, please include it with your message.